Scarfs… Do you wear them often? Recently I was invited to participate in the L’Avion styling competition. 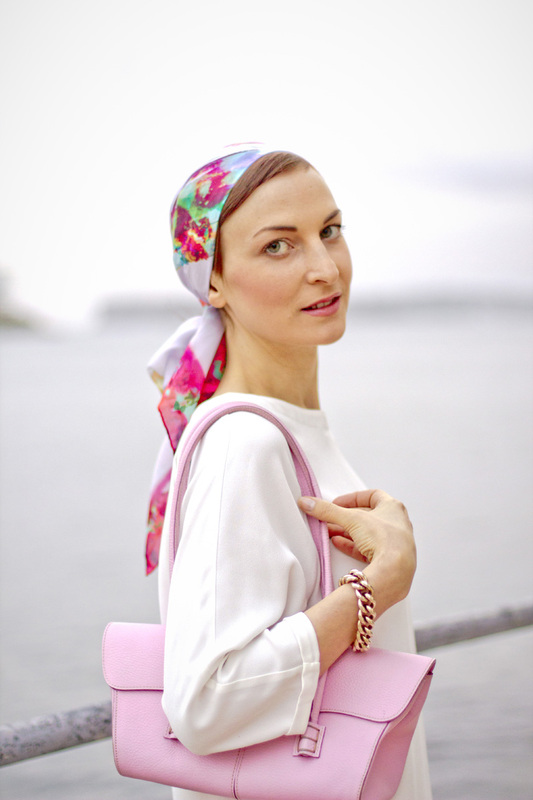 The task was to style a silk scarf. I was hoping to make a skirt out of it, however, when the scarf called Bouquet arrived it appeared to be too light for such an experiment. So, I wore it as a headscarf. Though I put a lot of effort in practicing various ways of wearing it (say something like that), the solution only came to me last night when we went out for dinner in Manly. First of all, by wearing a scarf I avoided necessity to wash and style my hair (read: scarf saves your time!). Secondly, scarf saved my hair from going a-la Medusa thanks to the warm ocean wind (read: you look like a lady even during a hurricane!). The result appeared to be rather elegant. Do you think? This is my entry in the L’avion Styling Competition “Forget Me Knot!”. The winner is determined by public voting (i.e. the one who gets the more likes…). So darlings, if you feel like doing something nice today please vote by clicking here! The voting was closed on 27 February 2012. Results: I won!!!! and one of my readers won a beautiful scarf valued $150. Thank you my lovelies for all your support and kindness! Wow, this is just breathtaking! This is absolutely, positively my favourite look on you and I’ve seen all of them I think!!! The pink, the floral, the styling, to me it screams classic femininity and its just so beautiful!! I really hope you win, I am voting right now! 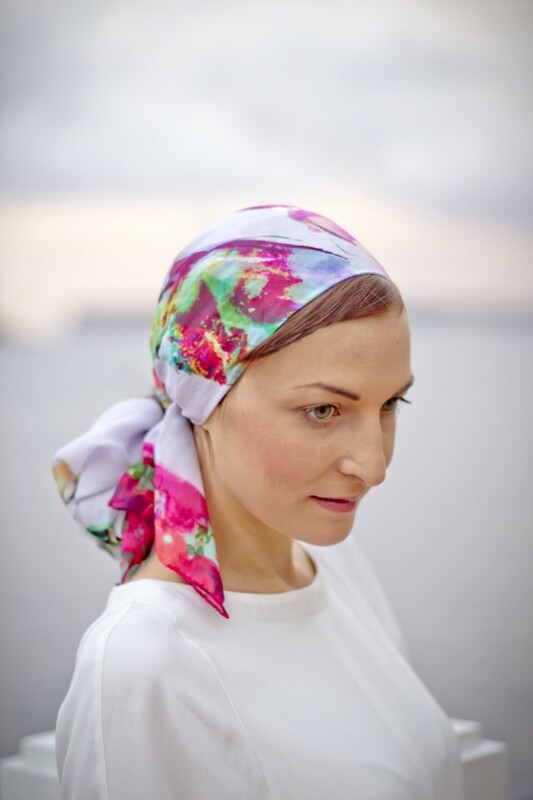 You pull off a head scarf so well! 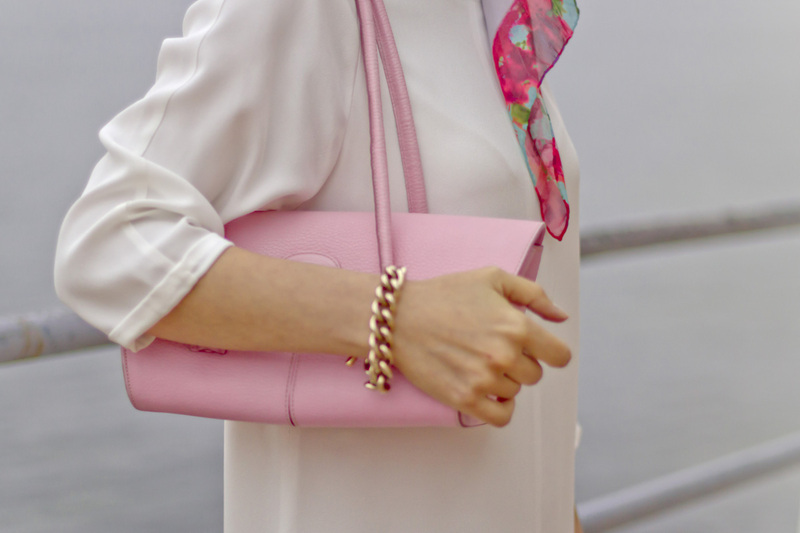 Love the print on your scarf, very pretty and how amazing is that pink bag! Beautiful picture of you and the little miss – she is a fashionista already! 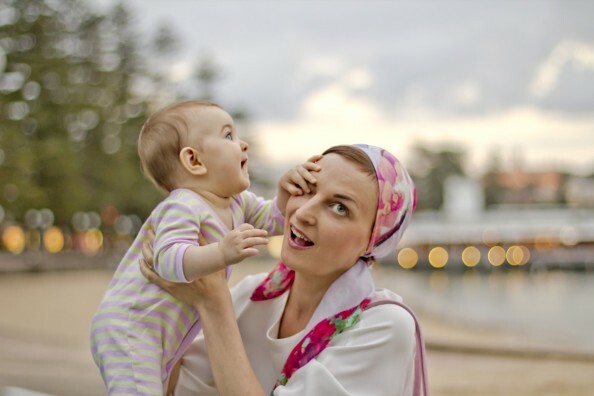 These pics are so gorgeous, adore the head scarf and the last pic gave me a huge smile ? Love the colours of that scarf! wow, you look so perfect! great outfit and amazing pics. following you.